WHAT EXACTLY IS SLOPE SOARING? other visitors, livestock and birds." Radio control gliders were first flown on many of the slopes featured on this website in the 1960s. The number of participants peaked in the 1980s. There has been a bit of a decline since then, presumably due to the arrival of computer games and other such diversions! Before the arrival of radio control, free flight gliders (which simply went where the wind took them) were popular. There was a craze for these in Edwardian times due to the excitement generated by the early pioneers of flight such as Bleriot crossing the English Channel. 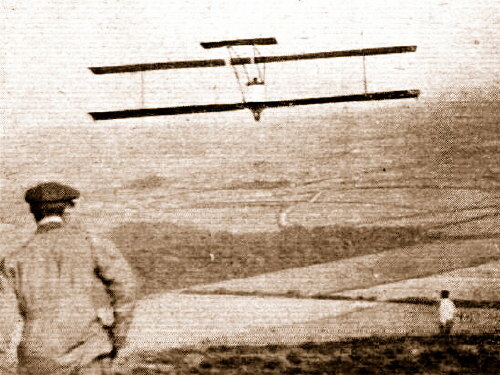 A century ago these early model gliders were a common sight on the South Downs. WHO OR WHAT IS SLOPEHUNTER? Basically we're just a few guys living in the southeast who enjoy slope soaring radio control planes. Slopehunter is not a commercial website, it's just a little 'labour of love' to help fellow flyers find good slope soaring spots. 'Aeronaut' Gary is one of the main guys contributing to the Slopehunter website, abetted by various flying buddies: Tony who loves a foamy, Del who flies low as hell, Paul whose videos enthral, Jason who likes plane chasin' ... plus many others who have kindly provided photos and site tips. Some of the guys who fly at these slopes arrange sessions through the online forum rcmf.co.uk. You can get details in the 'Regional Gliding' section under the 'Gliders & Gliding' heading. 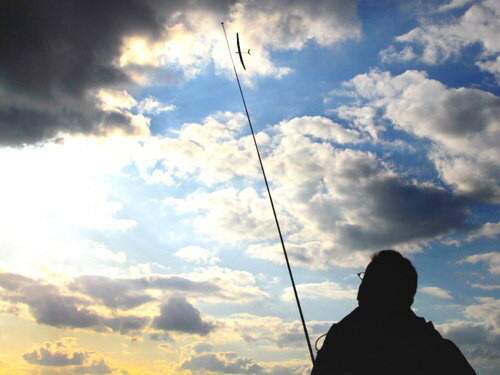 Some of these flying adventures also get reported on the Goodwind Soaring blog. To contact Slopehunter please use this email address: pick any word as the first part of the address (such as 'mail') then add the usual '@' sign, then add 'slopehunter.co.uk'. Please send details of new sites, photographs, and further information on sites already in the guide. WHAT AREA DOES SLOPEHUNTER COVER? This poem almost seems as though it could have been written about slope soaring. In fact it was written during World War Two by Spitfire pilot John Gillespie Magee, who was killed a few months after writing it, aged just 19.